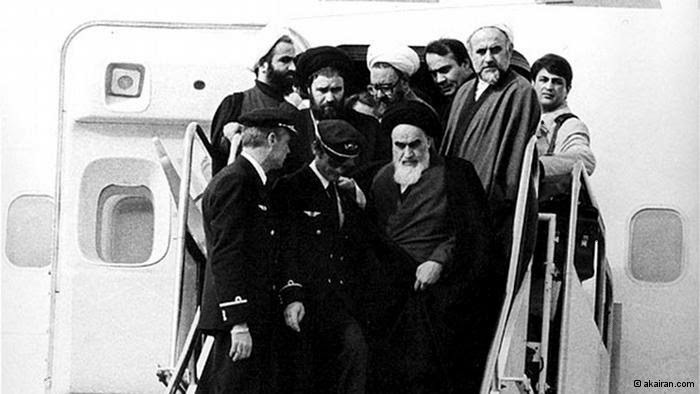 1979, the Shah is overturned and the religious Ayatollah Ruhollah Khomeini returned. Not too long ago, on June 20, 2009, there was a demonstration of the Iranian people who were aroused by the Arab Spring against their rulers, but that has been forgotten since their hard-line factions have seized more power. They were holding protests during their elections, and a beautiful Iranian girl was shot to death by the name of Neda Agha-Soltan, age 26. Neda, a college student, was forced to quit school because of her dress and appearance of not covering her head and body. That's why she attended the protest. "She was shot in the heart by a Basij militia member who insisted he was not trying to kill her. Her death was captured on video by bystanders and broadcast over the Internet and the video became a rallying point for the opposition. It was described as "probably the most widely witnessed death in human history"
The largest rally took place in their capital, Tehran, where nuclear talks between Iran and and the USA and their allies were recalled, dominating the event. They had posters and placards given out to the crowd which had slogans referring to John Kerry's recent remarks that, despite the discussions over the nuclear program, the military option remained on the table. The placards therefore read, "We are eager for all options on the table." Evidently they noticed a two-facedness from Kerry. Young families pushing baby strollers were seen shouting, "Death to America!" Other posters said, "We are ready for the great battle." Other people called for the deaths of Obama and Kerry. Back on the home front, Wendy Sherman, under secretary of state in the State Department for political affairs, conceded that the US failed to "shut down" Iran's working on ballistic missiles. These have long ranges and are the weapon to deliver a nuclear payload. It's been 6 months of negotiating and they have to address this problem as part of a comprehensive agreement which will not be agreed on for at least another 6 months. Tehran had a large window to perfect its weapons systems now. The USA knows that Iran is going to launch 3 new satellites into space in the next few weeks. This technology is like those used for ballistic missiles. Leading experts are saying that Iran's space program is a cover for its ballistic missile work. Iran's year ends on March 20th and they feel one of them will be launched by then. Kerry and Wendy left all these problems unsolved. They didn't address the delivery mechanism, the militarizing of nuclear arms. Iran had breached a threshold everyone acknowledges and now they can build a bomb. Senator Bob Corker, Republican from Tennessee, the committee's ranking member, asked them why this had happened. Iran already has advanced centrifuges. The situation had been left so that Iran is allowed to continue to perfect their nuclear delivery mechanism. Few countries in the world possess both the capability to enrich uranium to high levels and also have an advanced ballistic missile program. Iran is now a nuclear power. All they have to do now is to ramp up their uranium production. Sherman said she is depending on the US to successfully convince Iran to give up its nuclear program. In her opinion, Iran doesn't need to continue its work at Fordow or any need to the partially constructed heavy water reactor at Arak. She has no doubt that Iran will have to scale back the number of nuclear centrifuges it is operating. The question remains as to what will force them to do such a thing. They are impervious to Kerry's suggestions. Rouhani, the President of Iran, criticized the US threats against Iran already. He said that if the negotiators respected Iran's rights, they would get a positive and appropriate answer from Iran, but he also warned that threats would only bring down the nuclear talks to a halt. He didn't like the way they approached him in the past and doing so had put their nations, region and global welfare and stability in jeopardy. The rally included re-enactments of scenes from the 1980s war between Iran and Iraq. That war was so bad that children were serving as soldiers on both sides. Remember when Netanyahu, Prime Minister of Israel, warned the UN of how close Iran was in being able to make atomic weapons on September 27, 2012? "Iran is 70 percent of the way there and ... well into the second stage," Netanyahu said while displaying the chart. "By next summer, at current enrichment rates, they will have finished the medium enrichment and moved on to the final stage. From there it is only a few more weeks before they have enriched enough for a bomb." Everyone pooh-poohed him. Now the window of opportunity is shut for Israel to halt their progress. Kerry didn't comply with his warnings at all and now he can't call back the steps taken get Iran to the table to talk in the first place. Everyone is just too eager to sell them their products being they have come into money. What was working has been undone by the negotiators. The Cuban missile crisis happened when Russia and the USA were at odds. "After the US had placed nuclear missiles in Turkey and Italy, aimed at Moscow, and the failed US attempt to overthrow the Cuban regime, in May 1962, Nikita Khrushchev proposed the idea of placing Soviet nuclear missiles in Cuba to deter any future invasion attempt. During a meeting between Khrushchev and Fidel Castro that July, a secret agreement was reached and construction of several missile sites began in the late summer." Luckily that was averted. North and South Korea were going at each other just last year. " It began because of United Nations Security Council Resolution 2087, which condemned North Korea for the launch of Kwangmyŏngsŏng-3 Unit 2. The crisis was marked by extreme escalation of rhetoric by the new North Korean administration under Kim Jong-un and actions suggesting imminent nuclear attacks against South Korea, Japan, and the United States. North Korea denounced sanctions UNSC imposed under UNSC Resolution 2087. on the January 23 the government of North Korea announced the continuation of their tests not only devoted to missiles, but clearly with an effort to facilitate nuclear weapons purposes. Moreover, North Korea directly threatened the U.S., announcing that they could launch long-range missiles against that country. Cuba and North Korea are enough to give the USA a headache as they are the opposite of such a Democratic country, but they are not in any way having a war of religion. It's territory. As with Iran, a Shiite country, this is a war of religions, and is much more serious. Kerry doesn't seem to understand this. Iran sees the end of the world coming and sees them in the power seat with the return of the 12th Iman. It means to destroy Israel. You can't put Iran in the same basket with Cuba and North Korea. Netanyahu warned that you can't trust Rouhani. The negotiators did just that.